The .308 Winchester is arguably the most practical mid-size high power rifle caliber. It carries the majority of the energy of the venerable .30-06 with an identical bullet, all the while having significantly less felt recoil in the process. It is well suited for a day at the long range, and can perform exemplary in the tactical environment. On top of all these reasons, due to it being a standard NATO caliber, it is cheap and readily available from everywhere. Prvi Partizan is a prominent manufacturer from the old world, established and still being manufactured in Užice, Serbia. Prvi Partizan manufactures standard NATO ammunition for a number of state militaries, and also produces ammunition in several obsolete or rare calibers. Also noteworthy is that they are the third largest producer in the American market, which is no small feat considering the amount of ammo Americans go through. 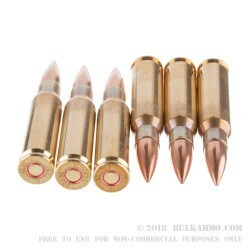 M80 145 grain FMJBT is the standard NATO “ball” loading for all 7.62X51 chambered firearms. The M240 and M60 series use M80 in conjunction with M62 tracer rounds. 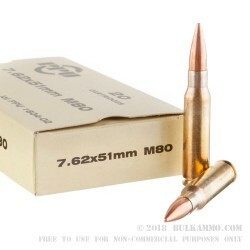 Basically, the M80 is the go-to utility cartridge of choice for all non-specialized weapons chambered in 7.62X51. 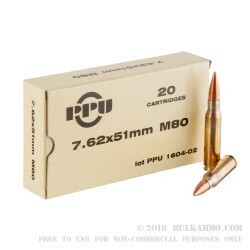 PPU’s M80 is not MIL SPEC, but it is dimensionally identical to the MIL SPEC M80 loads which are available. What does this mean to you? Nothing. It is all SAAMI approved ammunition and given the boat tail configuration will give you a wonderful day at the long range with your favorite .308 or 7.62X51 rifle of choice. Buying it now in a 500 round bulk pack is the best way to make sure your skills are perfectly honed when that feral hog is in your crosshairs. Q: What are the bullet jackets made of? A: Hello Jason, Prvi Partizan loads this ammunition with a copper jacketed, lead core projectile. Q: does this ammo have a lead core? A: Hello! 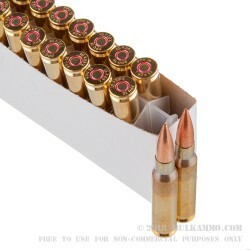 This Prvi Partizan ammunition does feature a lead core bullet construction. A: Hello Devan, This Prvi Partizan ammunition is loaded in boxer primed, brass casings.